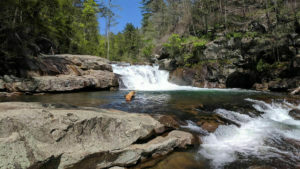 Flowing through forests, pastures and private land the Toccoa River is a 56 mile stretch of a river that actually has two names: the Toccoa in Georgia and the Ocoee in Tennessee. 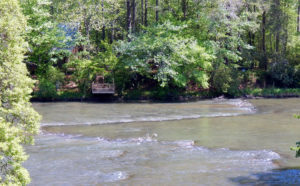 Like many creeks and rivers across the north Georgia mountains, the Toccoa River was used for many generations by the Cherokee as an important food source. This is evidenced by the many fish traps left behind by these resourceful people. 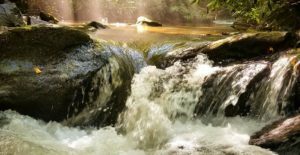 The Upper Toccoa is home to stream-bred natives, with rainbows being predominant. 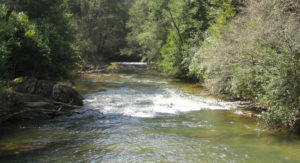 Float the Upper Toccoa with our experienced fly fishing guides for your best chance at a trophy catch!